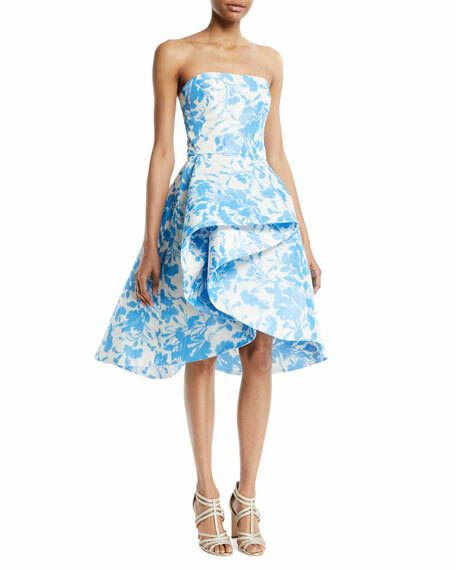 Monique Lhuillier floral-ikat printed taffeta cocktail dress. Dreamy weddings and special occasions are designer Monique Lhuillier's inspiration for her collection of evening gowns and cocktail dresses. Monique honed her craft at the Fashion Institute for Design and Merchandising in Los Angeles. Stimulated by creating couture bridal gowns, her collection has since expanded to include ready-to-wear.